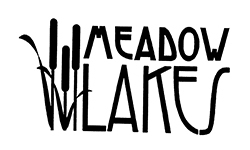 Meadow Lakes Golf Course is one of 13 participating golf courses in the Central Oregon area. The Passport rate at Meadow Lakes is $30 for 18-holes (with a cart) and can be used two times during 2018. Brief Description: Meadow Lakes is set on the beautiful desert highlands of sunny Central Oregon, amidst sparkling blue ponds, rock-rimmed buttes and green meadows. The challenging and enjoyable layout, designed by Bill Robinson, keeps the golfers coming back. Driving Directions: Take Hwy 26 eastbound into Prineville. The Hwy becomes 3rd Street. Turn right onto Meadow Lakes Drive.